'Arson' (Keith Keppel, R. 2015) Seedling 07-239B. SDB, 10" (25 cm), Midseason late bloom. Standards and style arms florida gold (M&P 10-L-8); Falls same, lightly shaded bronze-yellow (11-L-8); beards solid orange-vermillion (2-G-12). 'Photon' X seedling 05-34A: (seedling 02-33B: (seedling 98-58B: (seedling 94-17B: ('Spring Fresh' x 'Pele') x 'Marksman') x 'Jive') x seedling 02-33A). From Keith Keppel Iris catalog, 2016: ARSON ML 1O" Standard Dwarf (Photon X ((((Spring Fresh x Pele) x Marksman) x Jive) x sib)). The intense golden orange color sets it ablaze. 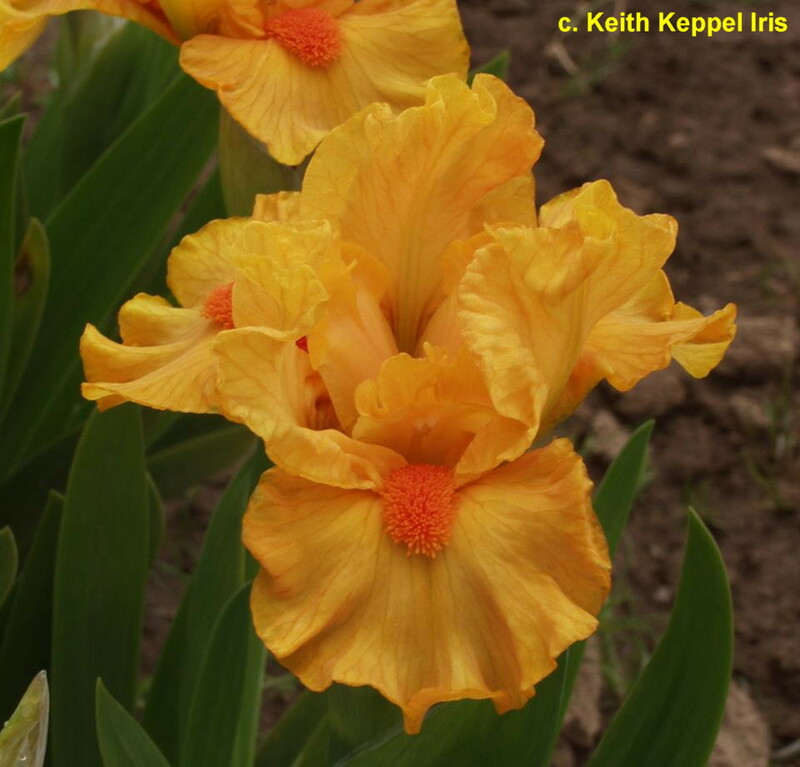 Solid orange vermilion beards, ruffled and somewhat open form. #07-2398. $15.00.